Six Twenty Seven: Bootcamp Body. Amazing Price. 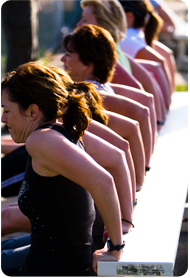 I was just sent this amazing deal from LivingSocial for 1 month of unlimited boot camp classes in Columbia, SC! Under the guidance of Army vet and Columbia firefighter Michael Thomas, get ready to sweat, burn, and drop the pounds and inches. Boot camp sessions meet 3 days a week for 4 weeks (about a month) and usually costs $140. LivingSocial is offering this amazing deal for $30! Yes... $30!!! This deal is really too good to pass up so I wanted to share with everyone. Take advantage of this amazing deal by clicking here because it ends in 16 hours.